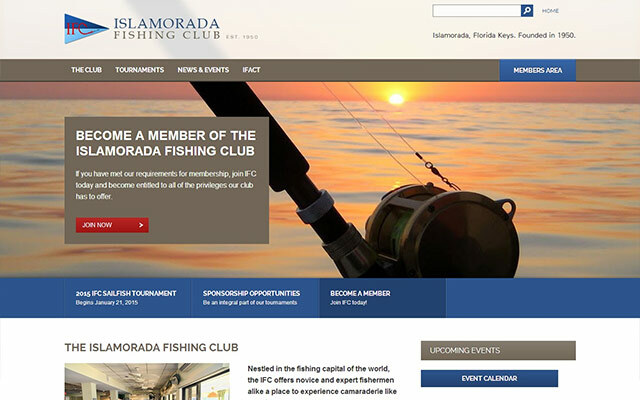 A new website was built for the Islamorada Fishing Club to provide an access point to it’s members for news and events, member information, and club history. It includes a private “Members Area” to hold sensitive information which is only available to IFC members, along with a full-featured Web Pro Manager administration system. The Islamorada Fishing Club is an organization of novice and expert fisherman located in the Florida Keys with over 60 years of conservation, recreational fishing, and strengthening of family and community bonds.